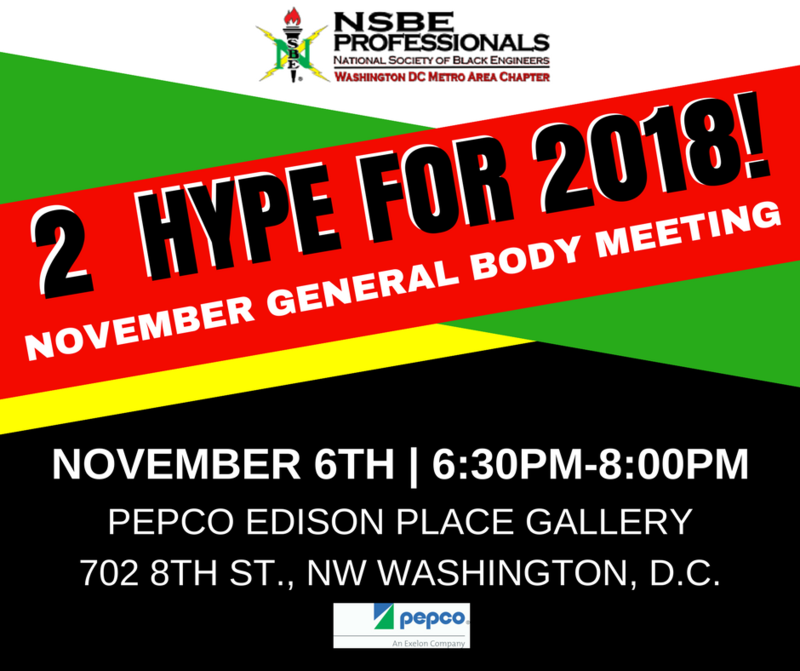 National Society of Black Engineers, Washington DC Metro Area Professionals Chapter (NSBE DC) - November General Body Meeting: 2 Hype For 2018! November General Body Meeting: 2 Hype For 2018! It's GBM time! Hear from our chairs about what we're doing this year in NSBE DC. We have a lot of exciting things happening and we want to you to know about them! Three parking garages available on H street as well as street parking. There is no free parking available.